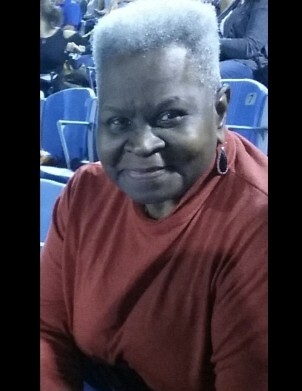 OXFORD- Mother Willie Mae Macon, 77, passed away on Tuesday, April 2, 2019 at Baptist Memorial Hospital in Oxford. She was born on April 28, 1941 to the late Isaiah Brown and Beatrice Moore. She was a faithful member of Clear Creek M.B. Church in Oxford where she served on the Mother Board. Services will be held on Saturday, April 6, 2019 at 2p.m. at Clear Creek M.B. Church in Oxford with Pastor Eddie Goliday delivering the eulogy. Burial will take place in the church cemetery. Serenity-Martin Funeral Home of Oxford is in charge of the arrangements. She leaves to cherish her loving memories two daughters: Nancy Lewis Matthew and Jacqueline Lampkin both of Oxford, MS. One sister: Idella Taylor of Cleveland, MS. Four grandchildren, two great-grandchildren and a host of other relatives and friends. Visitation will be on Friday, Aprill 5, 2019 from 5-7p.m. at Serenity-Martin Funeral Home Chapel.